Welcome to the home of Coastal Fishing Charters. Based in the beautiful Eastern Bay of Plenty in New Zealand. Coastal Fishing Charters is one of the only charter boats to offer all year-round day charters to the world renowned Ranfurly Banks. The Ranfurly Banks is known for some of the best game fishing in the world! 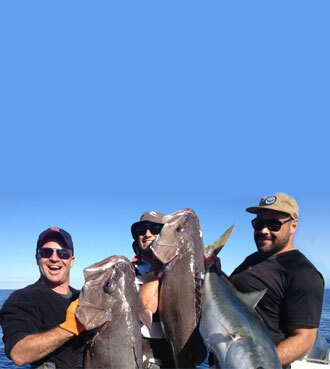 The team at Coastal Fishing Charters have a proven record of success in many tournaments and competitions, and offer all types of fishing including bottom fishing, jigging, top water or game fishing. Our Target species depends on you. 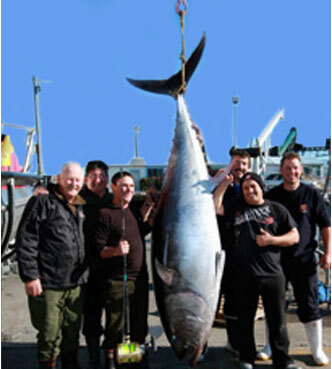 We can target Marlin, Bluefin Tuna or Kingfish to name a few. Our vessel is a fully equipped and well oiled game fishing machine! With 400 hp of power our boat “Strictly Fishing” is built to get you out there fishing fast! Choose a charter with Coastal Fishing Charters and find out why they’re the best day fishing charter in the Bay of Plenty to East Cape area! If you have any questions about fishing charters, game fishing or fishing the Ranfurly Banks, please contact the Coastal Fishing Charters team. Specialists in Ranfurly Banks Fishing Trips! We are specialists in Ranfurly Banks fishing and game fishing trips. 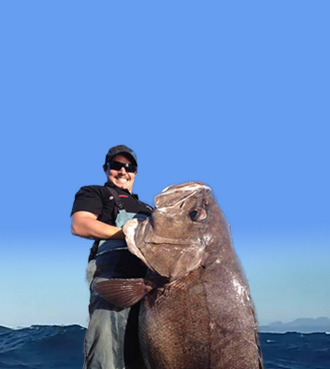 So, if you want the best fishing charter in the Bay of Plenty, call us! Bay of Plenty & East Cape, New Zealand.